When it comes to snacking, moms – especially busy moms – are often left with “whatever.” Leftovers the kids didn’t touch, some fruit snacks that were at the bottom of your purse, or worse yet that empty wrapper. With everything it takes to work, manage a family, and get kids to and from all of their daily activities, it’s not surprising that a lot of moms put their own needs on the back burner sometimes. Luckily, healthy snacking (or just regular snacking, whatever you want to call it) doesn’t have to be hard. We’ve put together a list of great, healthy snack ideas for on-the-go moms (and yes, you can share them with the kids too). The best part? We can deliver these delicious snacks right to your front door, so you don’t even have to go to a grocery store! 1. Sunbiotic Almonds: Sunbiotics Gourmet Probiotic Original Almonds combine healthy snacks and probiotics into one delicious, portable, and snackable package. 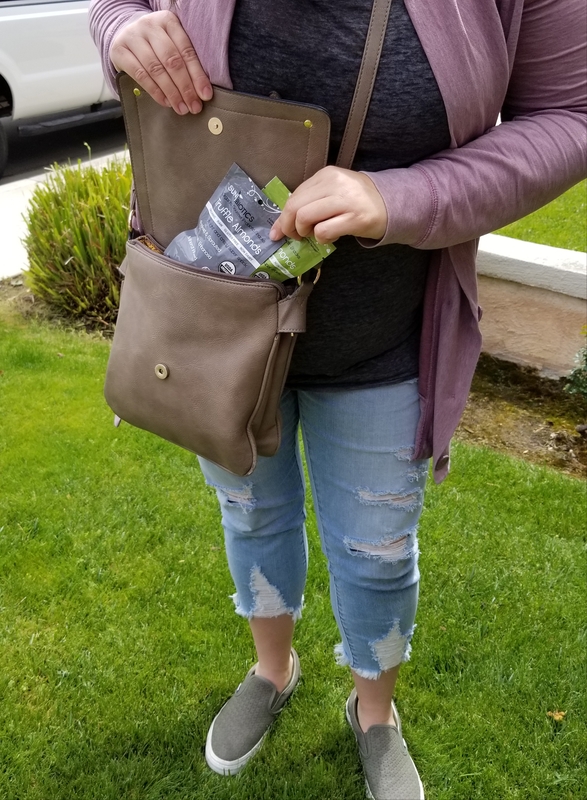 They’re the perfect size to throw in your purse, diaper bag, or gym bag to keep you fueled through a busy day. 2. 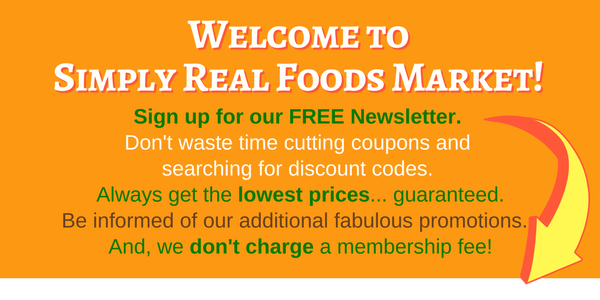 Now Foods Raw Nuts and Seeds: Now Foods Organic Raw Walnuts, Raw Organic Sunflower Seeds, and Raw Pecans are super fresh and packed with nutrition. 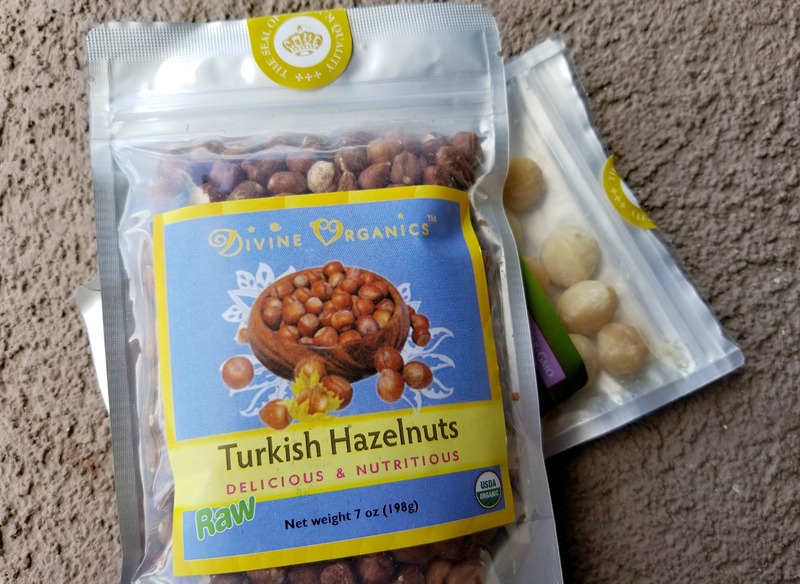 They’re delicious right out of the bag, or you can add them to your own homemade snacks like granola bars, protein balls, or your favorite trail mix recipe. 4. 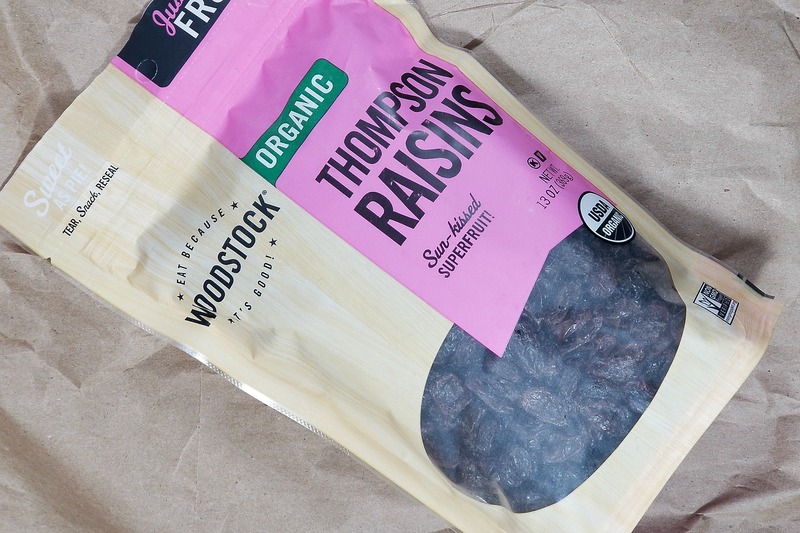 Woodstock Organic Thompson Raisins: These sweet and delicious raisins are made from organic white grapes grown free of artificial chemicals, Non GMO Project verified, and packaged in a BPA-free pouch. A serving of Thompson Raisins contains no fat and only 10mg of sodium, and the resealable 13 oz package is great for sharing, too! 5. Made in Nature Organic Banana Slices: Are these fruit or candy?! 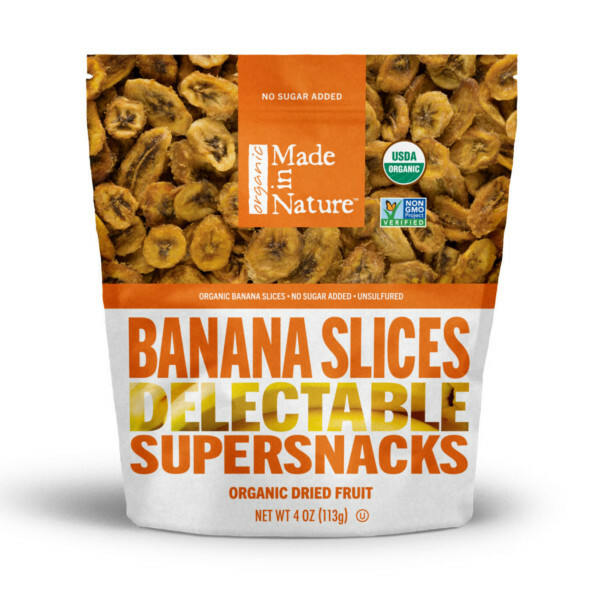 Made in Nature’s Organic Banana Slices definitely own up to their title of “Delectable Supersnacks.” Not only are they delicious, but they’ll give you a much-needed boost of potassium as well as fiber to keep you satisfied longer. 6. 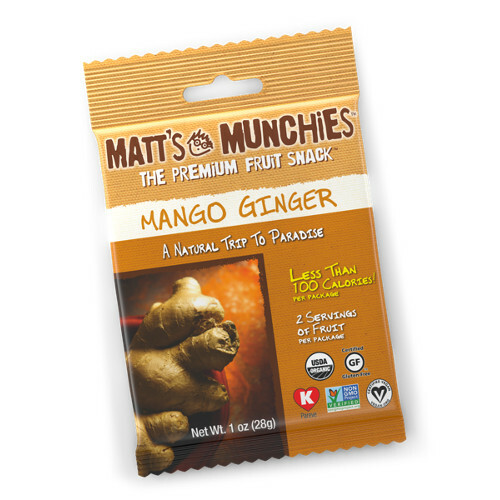 Matt’s Munchies Mango Ginger Fruit Snack: Matt’s Munchies fruit snacks are great for both kids and adults, but their Mango Ginger flavor is a step above the rest! They’re only 90 calories per serving and loaded with Vitamin A, so this is one snack you won’t feel bad about eating over and over again. 7. 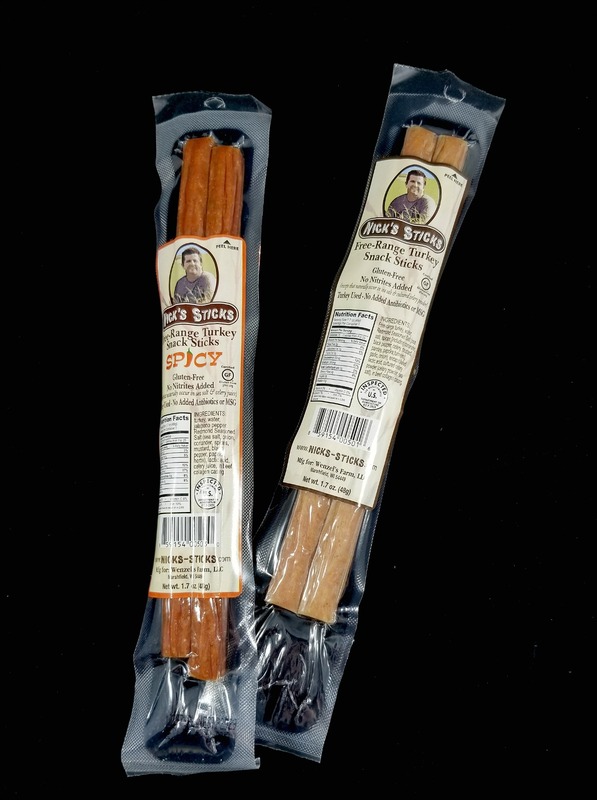 Nick’s Sticks: Both the Beef and Turkey Snack Sticks from Nick’s Sticks are packed with protein. They contain no nitrates, no antibiotics, no additives, preservatives, MSG, hormones, fillers or Red Dye #3, making them a perfect clean-eating friendly snack. And, they are made from 100% grass-fed beef and free-range turkey. 8. 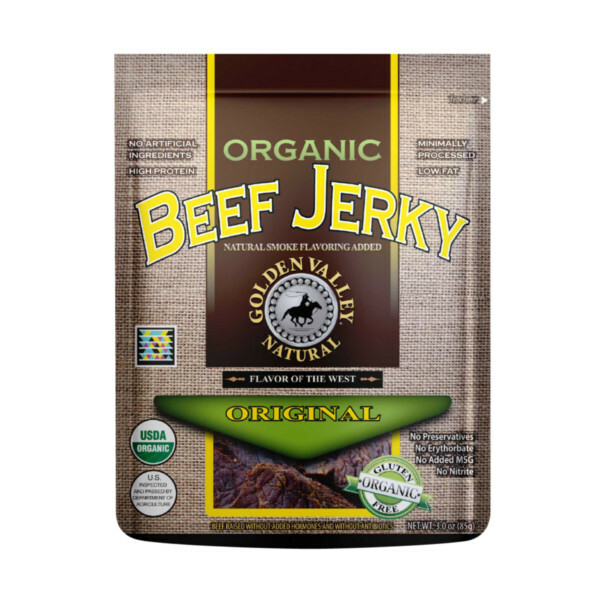 Golden Valley Natural Organic Beef Jerky: Golden Valley Natural produces some of the finest All-Natural, Organic, Gluten Free, Grass-fed, and Non-GMO jerky you can find anywhere! 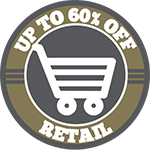 Their jerky contains no sodium nitrite, no artificial ingredients or additives and is minimally processed. But most of all, it’s a delicious high-protein snack! 9. 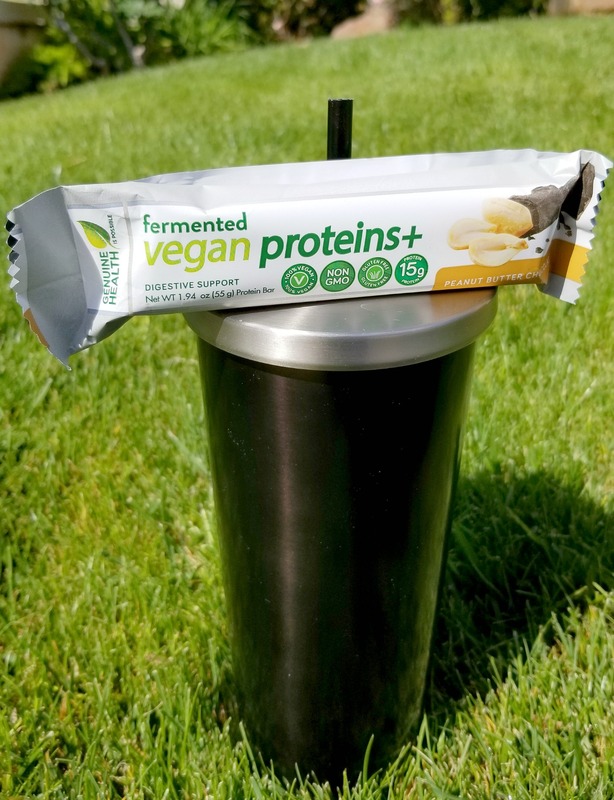 Fermented Vegan Proteins Peanut Butter Chocolate Bar: Each of these tasty bars offers 15 grams of fermented protein! They’re high in fiber, as well as wheat, soy, and dairy free. 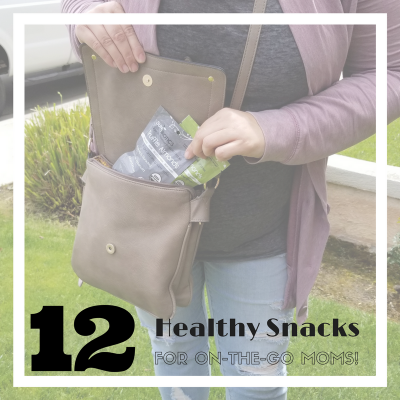 Keep a few in your purse for a super healthy snack wherever you are! 10. Enjoy Life Dark Chocolate Bars: Sometimes you just need a little bit of chocolate, and these are a healthy way to satisfy that craving. 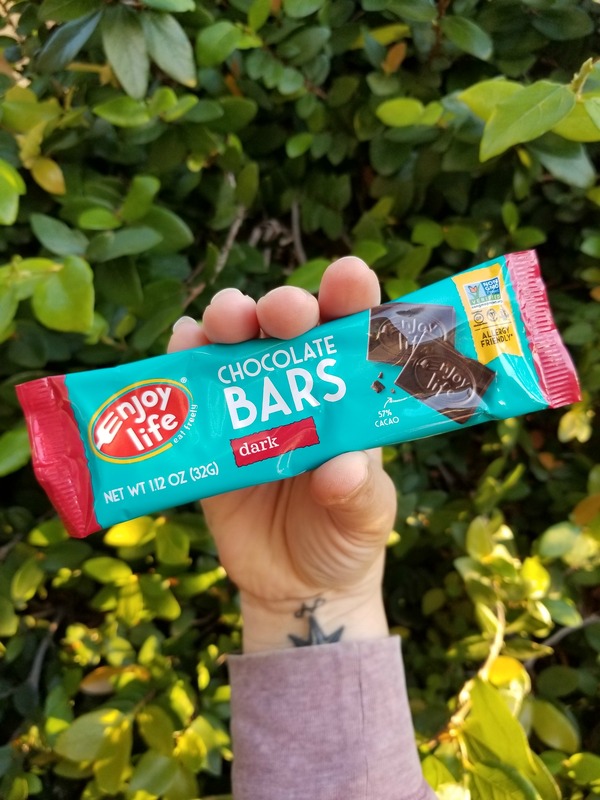 Enjoy Life Foods chocolate bars are allergen friendly: dairy, nut, soy and gluten free, and of course chock full of antioxidants. You definitely want to keep a few of these handy! 11. Mediterranean Organic Olives: These snack-ready olives are oh so delicious. 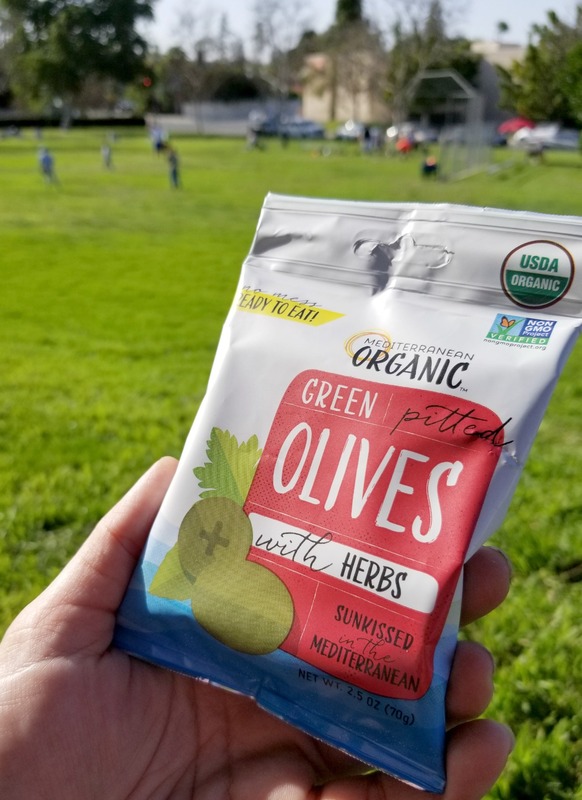 Grown in the mineral rich soils of the Mediterranean, these olives are marinated with a blend of organic herbs and are perfect as an on-the-go snack or in a salad. They aren’t packed in brine, which means no mess! 12. Organic Sea Salt Sourdough Crackers: These aren’t your everyday crackers. 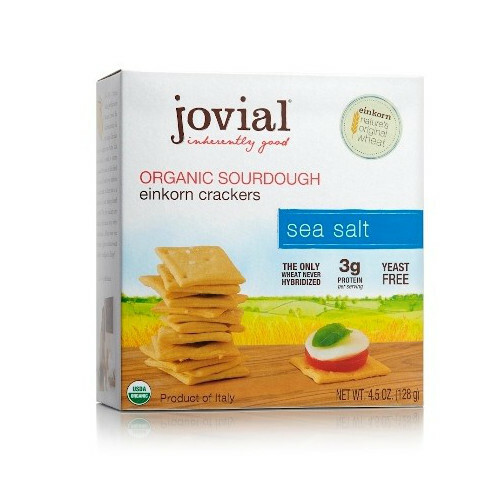 Jovial’s artisan bakers use einkorn sourdough to slowly and naturally leaven their organic crackers without commercial yeast or chemical leavening agents. One batch takes nearly 24 hours to complete as they refresh the starter and mix a pre-ferment which is left to proof overnight. No added sugar, natural flavors, or emulsifiers in these awesome crackers. We’re giving away two snacktastic prizes to two lucky winners on our Instagram page! Be sure to head over there for more details!